New albums from Sturgill Simpson and Sam Beam & Jesca Hoop. A Sailor’s Guide to Earth. There’s been a lot of noise about Sturgill Simpson in the world of country and it’s not hard to see why. 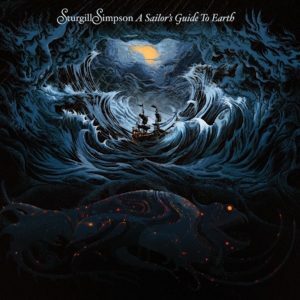 His third album, A Sailors Guide to Earth is, if anything, even more ambitious than his breakthrough album, Metamodern Sounds in Country Music from 2014. It should have been a complete disaster. A concept album, which is bad enough, in the form of a letter to his newly-born son, which, obviously, is even worse, whose touch points are Sgt. 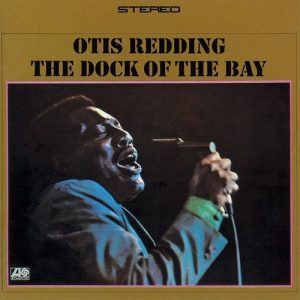 Pepper’s, Pink Floyd’s Dark Side of the Moon and the Beatles-inspired, late Otis Redding. Amazingly, he lives up to those lofty ambitions whilst somehow still managing to deliver up what is undeniably an alt country album. He might balk, albeit a tad effortfully, at that distinction, between country and alt country. But usually there’s a world of difference between the powerfully plain and straight as a die world of country and the more nuanced, quietly sophisticated realm of alt country. But impressively, Simpson manages to straddle both worlds, and then some. The horn and string arrangements on a number of the tracks here are very specifically designed to recall the rustic, guttural rhythms that came out of Stax with their string and horns (and if you haven’t already seen the doc on Stax, reviewed earlier here, treat yourself). The results call to mind early Van Morrison. But then there’s also a very sombre cut of Nirvana’s In Bloom re-imagined as teenage angst. This is an impressively ambitious album that is every bit as substantial as everyone has been suggesting – it gets an 8 from the boys at Pitchfork here. A serious album from a major artist. You can see the video for In Bloom here. Pop is so ubiquitous and the results so invariably saccharine and offensively MOR that it’s easy to miss the few grown-ups who work in the genre. 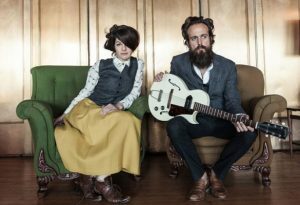 Sam Beam has been recording as Iron and Wine for the last decade or so, and after beginning in roots Americana mode he has slowly but surely settled in the world of pop – his last album was reviewed earlier here. Sam Beam and Jesca Hoop. He produces the same kind of thoughtful, articulate yet unabashedly emotional pop that you get from Jenny Lewis and Christopher Owens, and earlier from Squeeze and Everything But the Girl (in their earlier incarnation), and, from before again, with Carole King and Harry Nilsson (see the doc on him, reviewed earlier here). 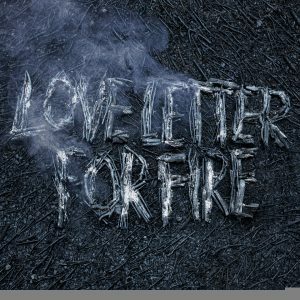 On this latest album Love Letter for Fire he teams up with Jesca Hoop, who was mentored by Tom Waits after she landed a job working for him as a nanny. 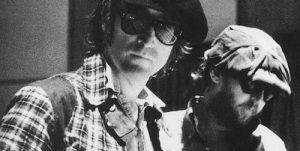 The bad boys, John Lennon and Harry Nilsson. Like all he best pop, these songs manage to be introspective yet upbeat with just a hint of melancholy. Their smooth, boygirl harmonies washing over you before disappearing again into the ether. Together with country, it’s the only other genre to resist black influences and not be rendered hopelessly redundant ever after. They get a 7.5 fromt the boys from Pitchfork here, and you can see the official video for the single Every Songbird Says here. Transparent, yet another perfect US dramedy. Transparent sounds for all the world like one of those punchlines from an early Simpsons episode, one of the ones when, God be with the days, they were still funny. A California family have to deal with the emotional havoc caused when the family patriarch comes out and decides to live out the autumn of his years as the woman he’s always known he really was. Written, directed and mostly starring women, all it needed was to be set in a hippy commune at the Joshua Tree run by a latter day Janis Joplin figure, played of course by Holly Hunter, who takes under her wing the emotionally lost stray waif played by the blondie one from Girls. When the show’s creator and showrunner Jill Solloway gave an interview in the New Yorker with Ariel Levy here, and she mentioned her cameo as a gender studies professor in one of the episodes, she seemed to be discussing those kind of views with fervour rather than the hint of irony one might have been hoping for. Happily, Transparent is nothing like that. It’s about a completely normal family, that is to say a gloriously dysfunctional one, who just happen to be financially comfortable and fantastically Jewish – it makes Curb Your Enthusiasm look positively preppy. 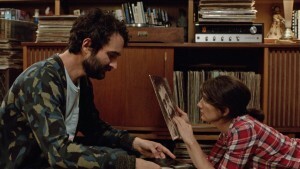 Gaby Hoffman and Jay Duplass as two of the three siblings. The three grown up children are all apparently successful if secretly rudderless and quietly lost. So when their father decides to come out in episode one, yes that emotional turmoil is to some degree explained. But more to the point, it’s yet another complication that they all have to deal with. What makes Transparent so good, and it really is very, very good indeed, is that like Girls and Louie before it, it is first and foremost a drama, out of which the comedy evolves. With a sitcom, even ones as sophisticated as Curb Your Enthusiasm or the late great Larry Sanders Show, their primary, indeed their sole duty is to make you laugh. But a comedy drama has to involve you emotionally, so that the laughter that arises from the mess the characters make of their lives is tinged with sadness and recognition. Lena Dunham, Jemima Kirke, Zosia Mamet, Allison Williams, those crazy Girls. Of course you have to care about the characters in your sitcom for the jokes to have their full effect. But that’s not the same thing as being moved by them. What makes Transparent so powerful is the forceful way that it engages you emotionally in the lives of its protagonists. So that by the time you get to the finale of season one, you’re left an emotional wreck after the carnage they wreak upon one another, in a way that only families can. 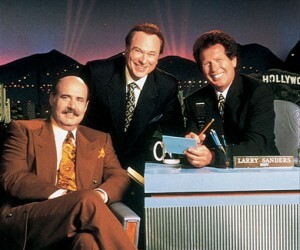 The genuinely great and now late Garry Shandling. The writing, acting and production are almost painfully spot on, and the series glides confidently from the present day to the recent past and back again giving the whole family portrait an added poignancy. If you were wondering what to do with your evenings, now that you’ve got through seasons one and two of Girls, look no further.